The fight for American civil rights spanned decades, cities and states – from Topeka, Kansas, to Memphis, Tennessee, from Atlanta, Georgia, to Selma and Birmingham, and all the way to Washington, D.C. 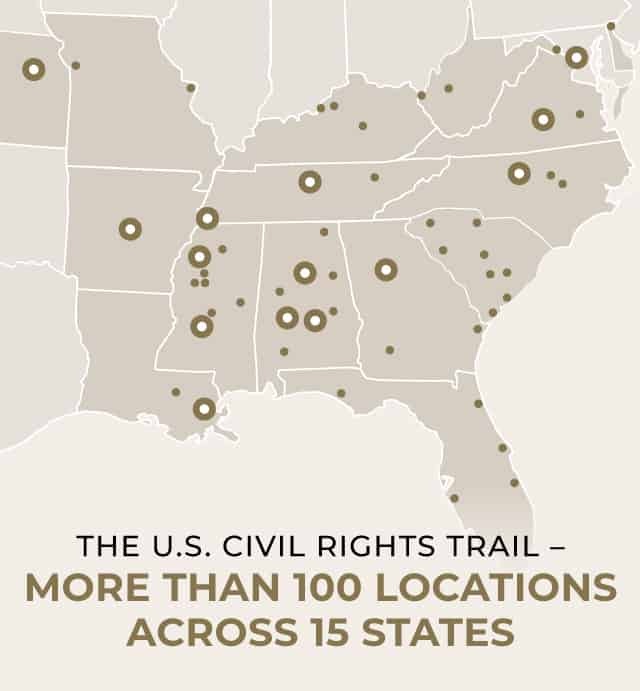 Chart the course of the Civil Rights Movement through the Civil Rights Trail that begins with the site of school integration and takes you to the scene of Bloody Sunday and finally the Supreme Court of the United States. Step into history as you tread the same path voting rights activists took in 1965 during the marches from Selma to Montgomery.